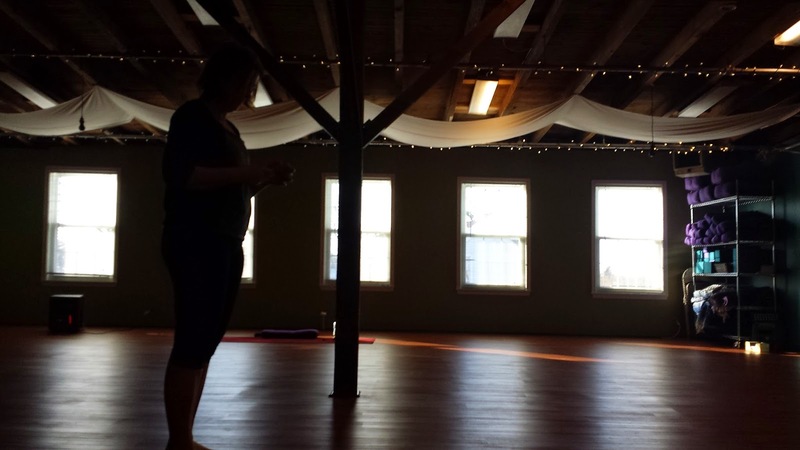 While we are waiting for me to move on with my life and finish up Mr. Karnow's book, I have to tell you guys that I went to a local yoga studio this past weekend. I had been to the establishment before while hugely pregnant. Since then, they have expanded their location from a one floor studio located in a house to an additional location nearby called Artisan Alley. The building looks like a converted warehouse that house other fitness studios and maybe a painting studio. There are probably other businesses but it was not obvious to me at only one and half cups of coffee. Their location was on the top floor with wonderfully naked ceilings (although expensive to heat). There were maybe 7 of us in the class led by the owner. At the start of the class she asked if there were any issues she should know about with regard to our bodies. She also inquired about the state of our energy level. I lied by omitting the recent tweak of my shoulder but I did tell her that my energy was low since I was not a morning person. The class was at 8:30 am and it was frigid outside! She started off the class with breathing and listening to soothing music. This went on for what seemed like a while. We went through some simple movements until we found ourselves mid vinyasa. For those of you unfamiliar, vinyasa is the series of movements that look like a high pushup, a low pushup, arching your back with hands and feet to the floor (upward dog) ending in an upward dog, which is like a push up but your body is in a V and your bottom is the apex. I liked that the intensity grew slowly and you realized you had a great workout after a while when your body felt warmer. I definitely felt warm and with each pose could feel the creaking of my joints since I hadn't been to a yoga class in years. All in all it was a wonderful workout and I appreciate that the instructor led us through a hard workout but didn't try and kill us. I've certainly been less that yogi and felt like crawling out of a heated studios. This past Saturday, I just felt taller, warmer and ready for the day. Photo courtesy of my phone. It does not do this wonderful space justice. Its a new year. I feel as if I have made great strides in writing, mainly the sharing of writing. I have gone from zero sharing to sharing in general. I am also probably a few pounds heavier after December. Christmas is rough in that regard, always eating and drinking too much to celebrate all that has come to pass. With my Fitbit, I hope to combat weight gain and the general aging during one's 30 something years. I ran into a fellow blogger during the holidays. He advised me to write more! I am more than half way through the work of Mr. Karnow so I do expect to write more on that in 2015. But I am taking his advice and just writing the general junk that goes through my head for the 10 people that read this thing.